See all 1,452 properties in Federico Fellini Intl. 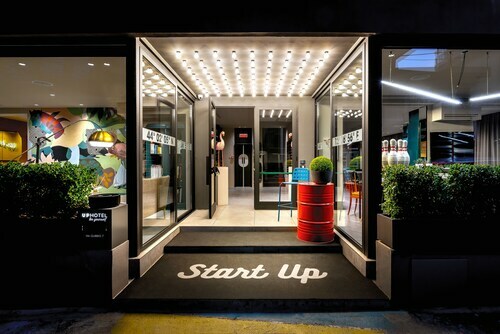 Situated in Rimini, this hotel is within 1 mi (2 km) of Fiabilandia and Rimini Beach. Go-kart Pista Miramare and Viale Regina Elena are also within 2 mi (3 km). Rimini Miramare Station is 7 minutes by foot. 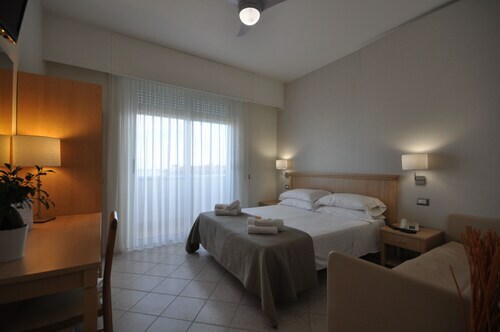 Situated by the sea, this hotel is within 1 mi (2 km) of Fiabilandia and Rimini Beach. Go-kart Pista Miramare and Viale Regina Elena are also within 2 mi (3 km). Rimini Miramare Station is 8 minutes by foot. Situated in Rimini, this boutique residence is within 1 mi (2 km) of Go-kart Pista Miramare and Rimini Beach. Beach Village Water Park and Fiabilandia are also within 1 mi (2 km). Rimini Miramare Station is 7 minutes by foot. 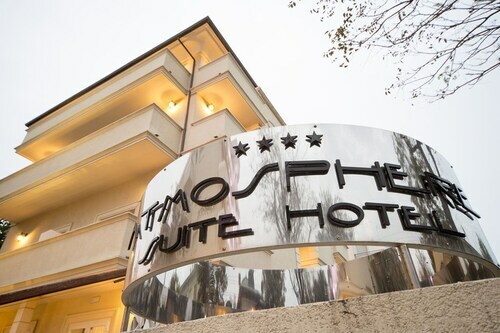 Situated in Rimini, this hotel is within 1 mi (2 km) of Fiabilandia and Rimini Beach. Arch of Augustus is 2.8 mi (4.5 km) away. Rimini Miramare Station is 16 minutes by foot. 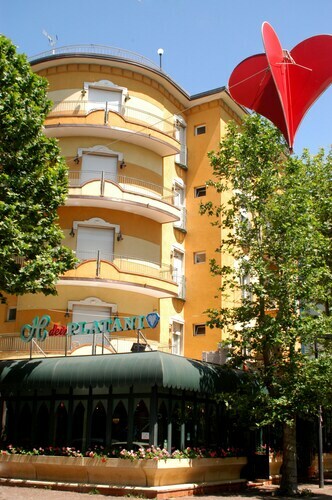 This family-friendly Rimini hotel is located on the Strip, within 1 mi (2 km) of Fiabilandia and Go-kart Pista Miramare. Beach Village Water Park is 1.3 mi (2.1 km) away. Rimini Miramare Station is only a 1-minute walk. 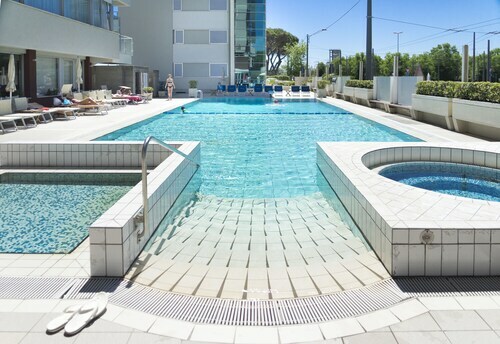 Nestled on the beach, this Rimini hotel is within 1 mi (2 km) of Go-kart Pista Miramare and Rimini Beach. Beach Village Water Park and Fiabilandia are also within 1 mi (2 km). Rimini Miramare Station is 10 minutes by foot. 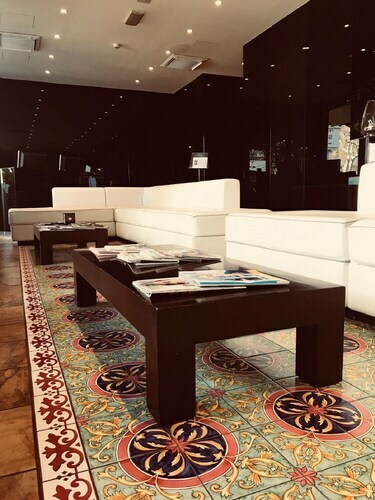 Nestled on the beach, this Rimini hotel is within 1 mi (2 km) of Go-kart Pista Miramare and Rimini Beach. Beach Village Water Park and Fiabilandia are also within 1 mi (2 km). Rimini Miramare Station is 8 minutes by foot. 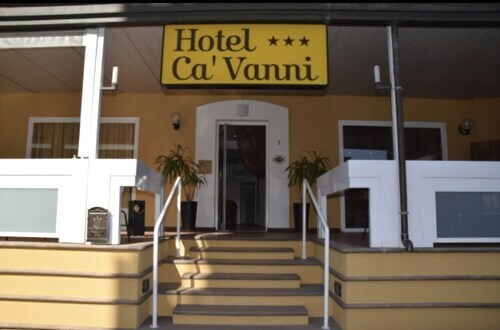 Situated by the sea, this hotel is within 1 mi (2 km) of Go-kart Pista Miramare and Rimini Beach. Fiabilandia and Beach Village Water Park are also within 1 mi (2 km). Rimini Miramare Station is 5 minutes by foot.